Happy international Star Wars Day!!! As some of you might know, I am a rather big fan of the saga and hence I decided to make themed cake pops. I hope this makes up for not going to the movie marathon. I mused quite long about what to bake – what wouldn’t totally frustrate me and yet match my expectations. I found some pretty cool stuff doing my research. A severed-wampa-arm-cake (coconut fur and jam for blood), a hyper realistic ATAT-cake or the mustafar fighting scene – also done in cake. All this would have been way too complicated. 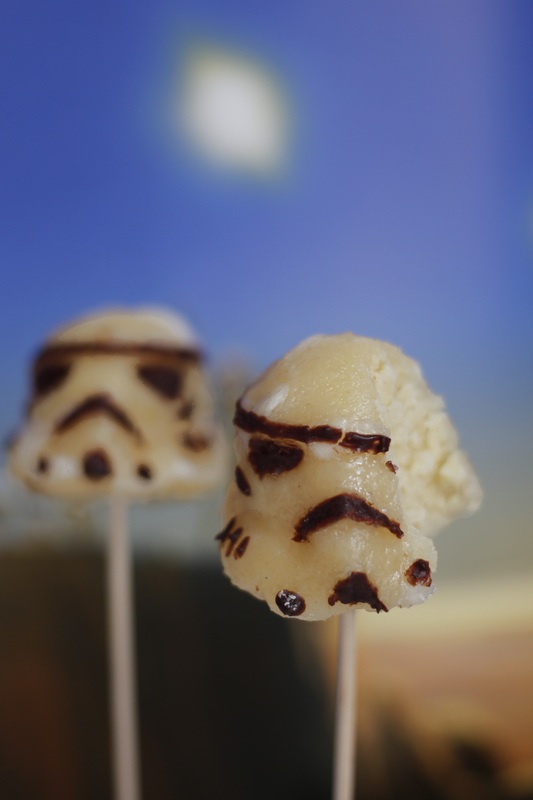 So I decided to make some easy-peasy cake pops that looked like stormtroopers. Yeah. Easy-peasy. Not. Well, making them wasn’t the problem. The problem was that I had to wait until the next day to shoot them (haha, shoot them, you know, with a blaster. Okay that wasn’t funny. ), and at that point they were pretty much, let’s say, different from what they looked like the day before. Anyway, here’s how I made them. I won’t give you a recipe here, because there are sooo many on her cute website, or you could just use your favorite cake and cream cheese frosting. Like I normally do. I didn’t marble the two batters, because I wanted vanilla and chocolate cake pops (I originally planned to make teeny tiny chocolate death stars). Remove the crust from the cake (keep it for later use, that is, eating), crumble the inner part and mix it with frosting (this time I just used some vanilla yogurt because I was lazy) until it has the right consistency to be formed. 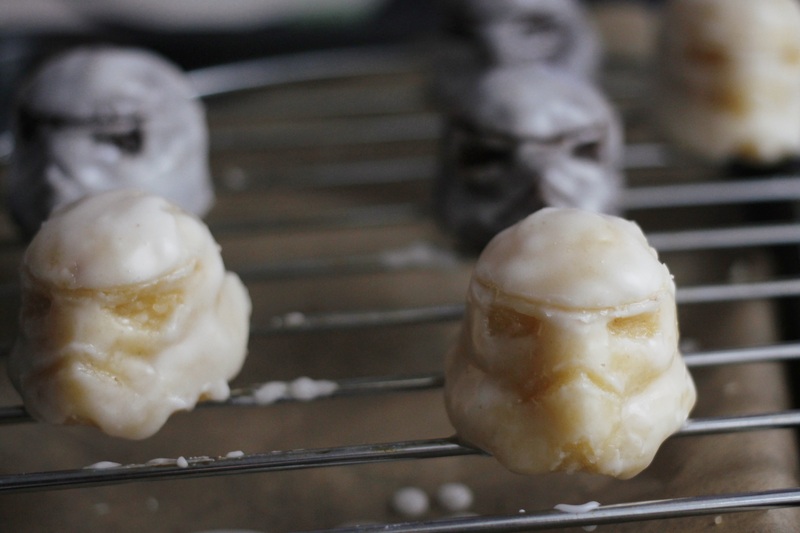 Then form little stormtrooper helmets. 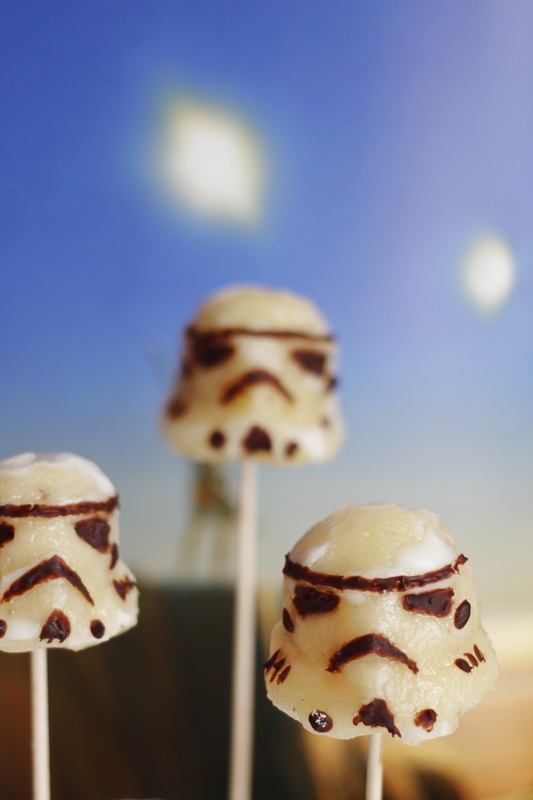 Don’t they already look like cute tiny stormtroopers? 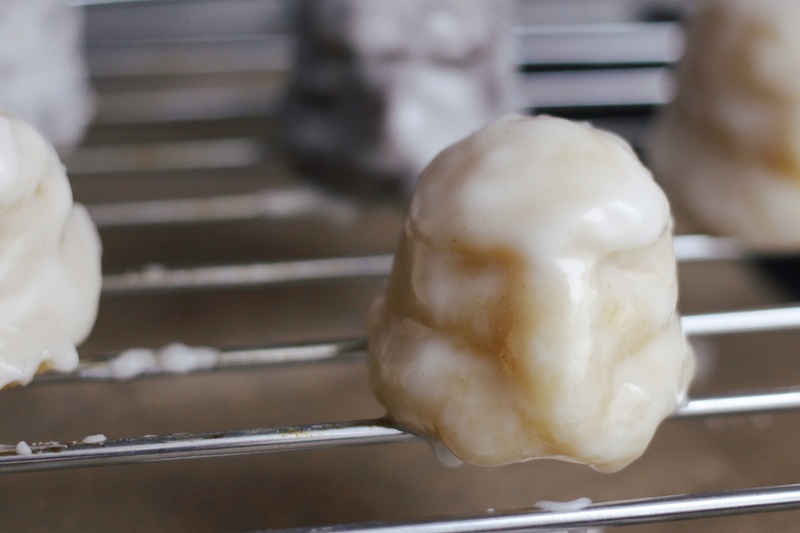 I admit this took a little longer than my usual ball- or cupcake-shaped cake pops. Glaze them. Please use chocolate. I used sugar icing because I didn’t have chocolate at hand and yes, as I said before, I was lazy, and it was a mistake. 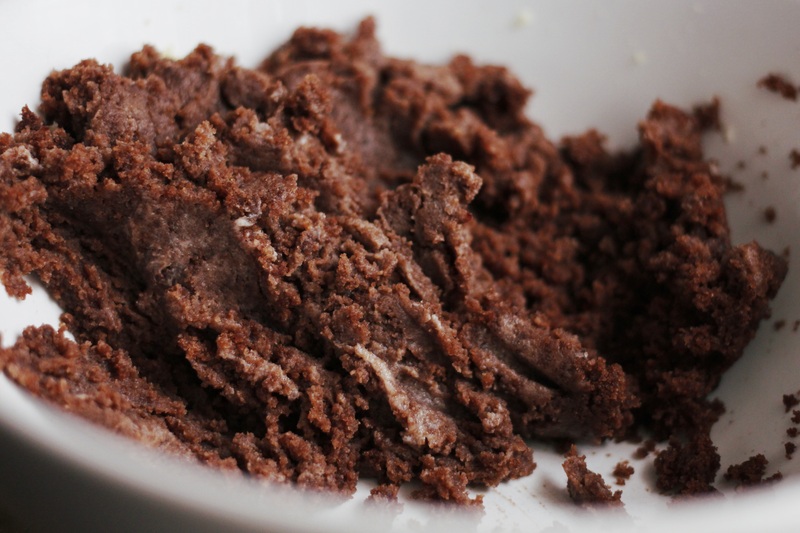 I also scraped away the icing from the parts that were later filled with chocolate, and this was no mistake. Makes things a lot easier. Then paint them with chocolate, and that’s pretty much it. 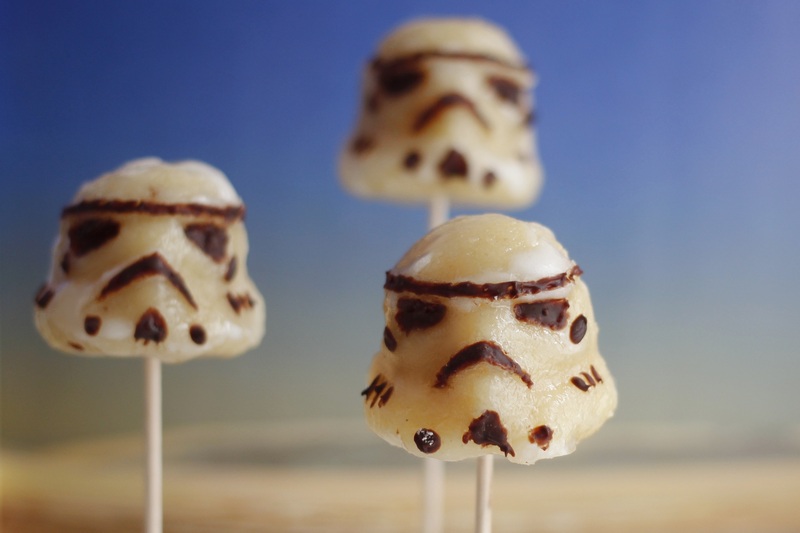 Put them on skewers and enjoy. 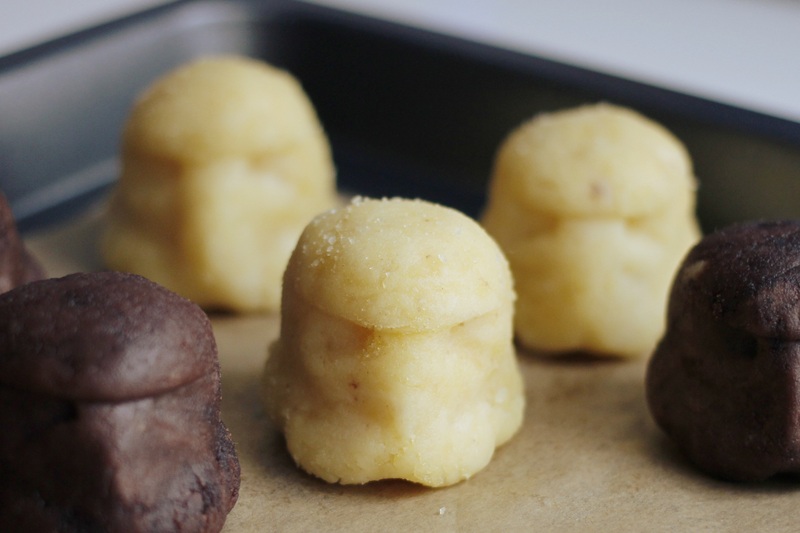 By the way, please don’t ask what happened to the chocolate stormtroopers. Let’s say they were annihilated due to an uprising against the Empire. Here they are, complete with the two suns of Tatooine. They were looking for two droids there. But these weren’t the droids they were looking for. Get it? Hehe. Oh, what happened to this one? Right, they aren’t the best at self-defense! 3 Tbsp milk Preheat your oven to 175°C (350°F). 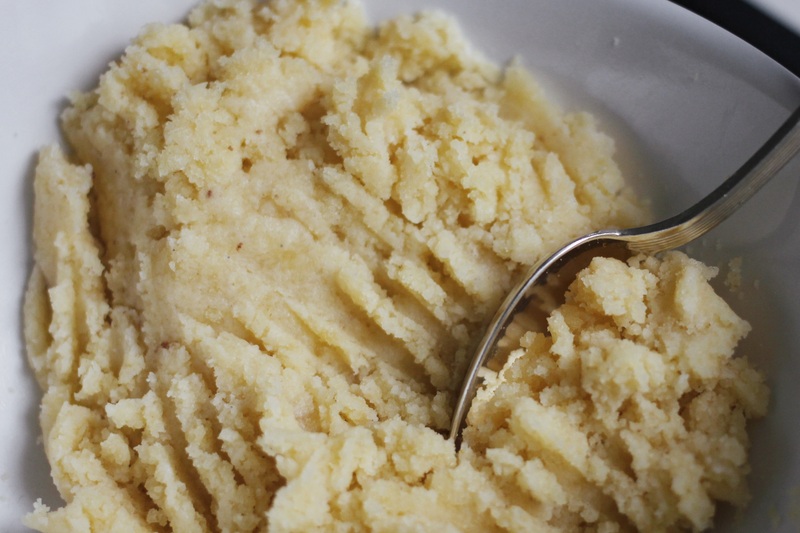 Mix butter, sugar, eggs and salt and beat until light and fluffy. Add flour, baking powder and milk and mix just until combined. 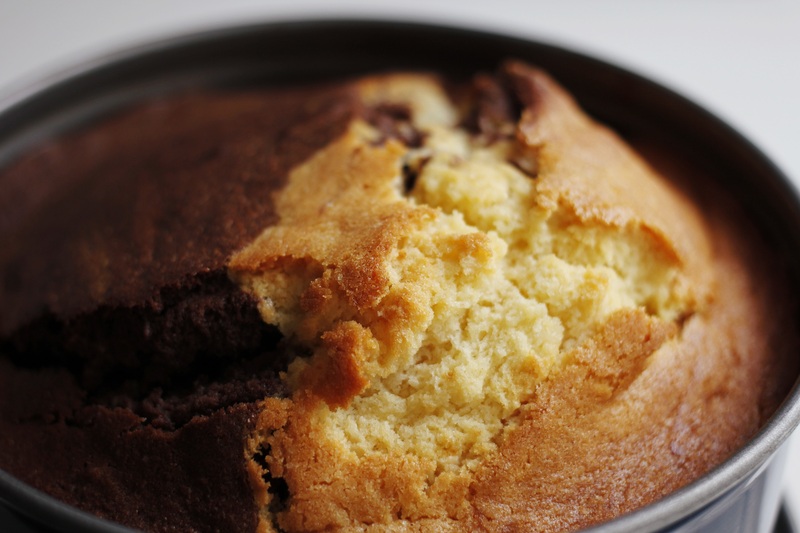 Put half of the batter into your buttered baking pan. 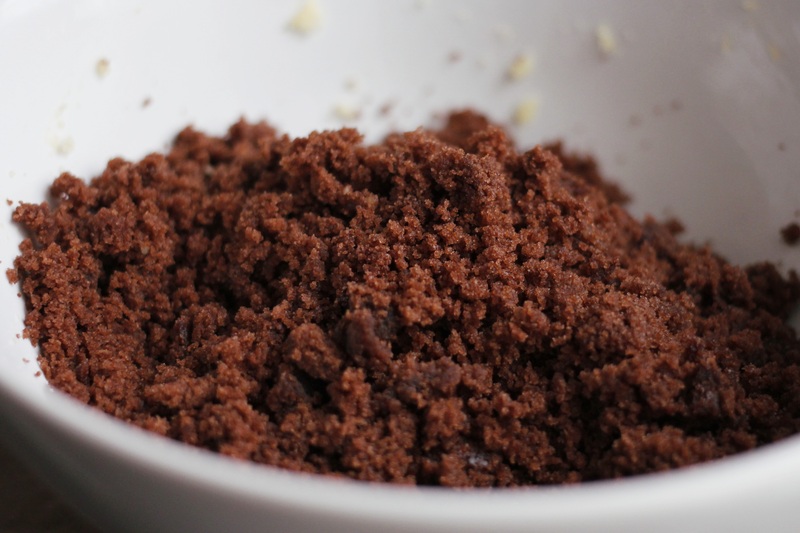 Add the cocoa, sugar and milk to the other half, mix until combined and pour on top of the vanilla batter. With a fork, marble the batters (Move as if you are folding something into them). Bake for 60 minutes, let the cake cool completely and dust it with powdered sugar. Or make cake pops from it.